Images: The CW and DC Comics. Poison Ivy: The Cycle of Life and Death art by Clay Mann. 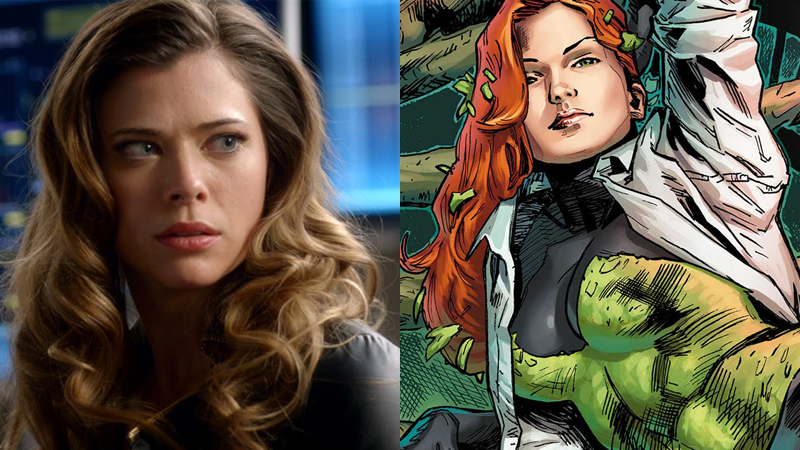 Remember when Pamela Isley—sorry, Ivy Pepper—started out on Gotham as a young, plant-loving kid? And then the show went through the frankly wildly uncomfortable process of aging her up with a new actress to further speed Ivy’s evolution into, well, Poison Ivy? Well, hold on to your bat-butts, Gotham fans, because it’s happening yet again. A press release accompanying the announcement describes List’s version of Ivy as being “a live wire of crazy energy” who is one step closer to becoming the Poison Ivy of the comics, who will “set her sights on Gotham, intent on making the city her own green paradise.” For those playing at home, the first Ivy had no powers, while the second Ivy was able to create a fragrance that made people obey her. It seems plausible that chugging a bunch of vials of unknown substances stored under the counter at a Chinese apothecary (yes, really) will give her more direct planet manipulation. While a new age for Ivy wasn’t mentioned, it can’t be that radical a transformation, given that List is just two years older than Geha (who was meant to be playing a 19-year-old). Which makes this seem all the sillier... but then again, it wouldn’t be Gotham if it wasn’t. At least this doesn’t feel as creepily gross as the last time? Poison Ivy III will make her debut in early 2018. Ryan Reynolds on Detective Pikachu: "I lived it, I breathed it, I became the character"